The T70 joins the T50 as the two non-folding treadmills in Matrix Fitness' new residential lineup, bringing the same commercial grade quality the company is known for to the home gym. Maintenance free and rock solid, this one is a great choice for those with the budget to afford it. The Matrix T70 features a welded steel frame, industrial grade motor and a enhanced cushioning, as well as three different consoles to choose from. UPDATE: The T70 was replaced by the all new Matrix T75 treadmill for the 2018 model year. Check it out here. The Matrix T70 is one of four new treadmills introduced back in 2016 as part of the company's new home machine lineup, which includes two folding and two non-folding machines. The experts are excited to see how it plays out, as reviews of the current commercial treadmills have always been very popular. Johnson Health & Fitness has been quite successful over the years with their Horizon and Vision brands, so the industry is expecting equal success with their high end line. The T70 is truly industrial grade, with a solid frame, a powerful, yet quiet motor and the Ultimate Deck System with gym-quality cushioning. So it doesn't matter how hard you pound away at it...it will withstand years of punishment. You get a generously sized 22" x 60" deck, a 3.0 HP motor, and up to 15% incline. 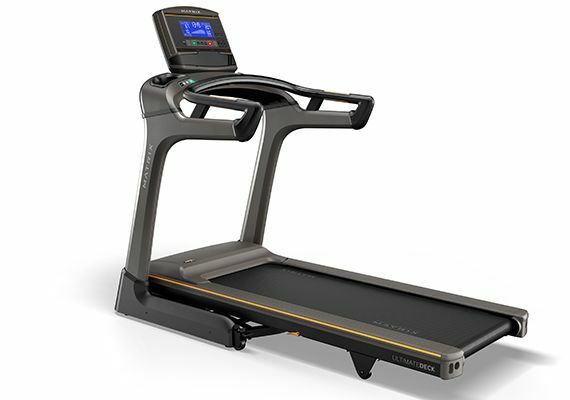 As a comparison, the lower priced T50 model has a 20" x 60" deck, a less powerful motor (although higher HP) and up to a 12% incline. Perhaps the most appealing feature of the new lineup is that the T70 comes with a choice of three different consoles: the XR, XER and XIR. The base XR is an 8.5" blue LCD; the XER is 10" touchscreen with Bluetooth and apps; the XIR is a 16" HD touchscreen with expanded Bluetooth capability and apps. With each step up you get more features and capabilities, so you have to decide which one most appeals to you. As far as negatives, as far as our Matrix T70 review is concerned, we really couldn't find any. This machine is rock solid so if you have the money for it, it definitely won't disappoint. And it certainly delivers a lot more than some of the similarly priced treadmills on the market, that's for sure. We have used Matrix treadmills in the gym for years, and we're excited to see how the new residential machines compete with the offerings from Life Fitness and Precor. The T70 has many features that the other brands don't offer, so they just might take some market share away from them. With the console selection, maintenance free deck, powerful motor, incline capability and rock-solid warranty, this one is going to very hard to beat. 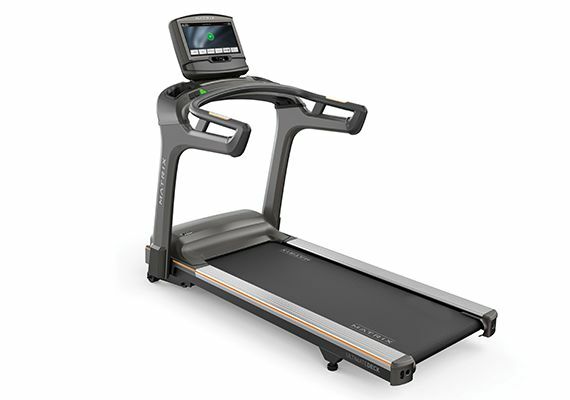 Editor's Note: Since the T70 is no longer available take a look at the replacement T75 treadmill, an improved model with added features and capabilities. Most popular Matrix treadmills are on sale right now!